DO YOU WANT TO STEP INTO HISTORY ? If you would like to participate in the next (6th) Nemean Games, and in a revival of the Olympic Spirit, you must register before May 1, 2016. ATTENTION! The 7.5 kilometers race “In the Footsteps of Herakles” will take palce ONLY on Saturday, June 11, 2016. Please, whether you register directly electronically or send your registration form to us, do not omit to fill in every space. Please also write your name and surname with lower case letters (e.g. John Green, not JOHN GREEN) and if you write in Greek characters, don’t forget to use accent marks. 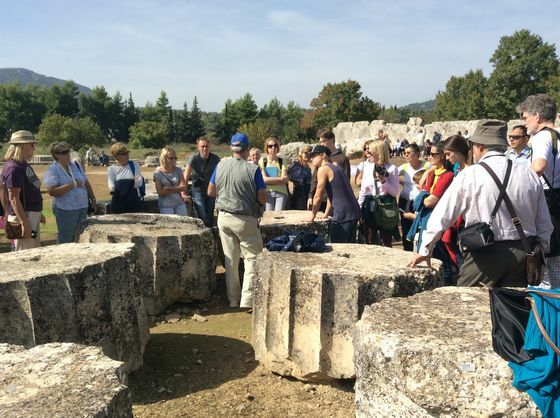 The Society for the Revival of the Nemean Games is a movement born from nearly 40 years of excavation by the University of California at Berkeley in the panhellenic Sanctuary of Zeus at Nemea, Greece, and from the enthusiasm and dedication of local residents of Nemea who feel that they could make an important contribution to today’s world because of their personal ties to Nemea. It was at Nemea that the ancient Greeks celebrated athletic and religious festivals that were part of the cycle of games at Delphi, Isthmia, and (best known today) Olympia. It was at one of these four sites that, for a brief period each year, wars and hostilities were suspended by a sacred truce, and all Greeks gathered in recognition of their common humanity. This impulse toward peace – albeit limited to a few days each year – was the first in the history of mankind on an organized, regular, and international scale. Thus, the festivals at Nemea, Olympia, Delphi, and Isthmia are the direct ancestors of today’s United Nations and Olympic movement. 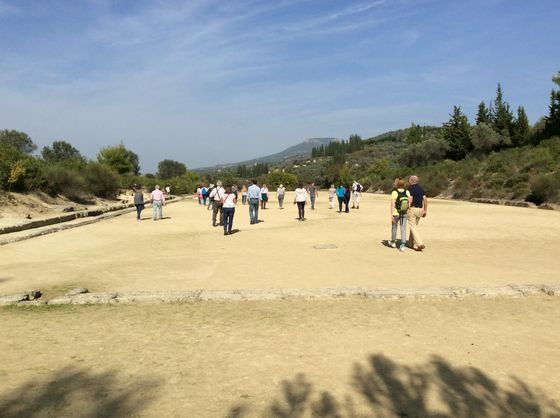 The ancient stadium discovered at Nemea is, therefore, an important monument in the history of such institutions. The Olympic movement has become an ever more important and complex international event, and a symbol of the nobler aspirations of our human race. But it has also become increasingly removed from those who are not extraordinarily athletically gifted. The average person, inspired by the ancient lessons of peace and hopeful of participation in the movement finds even the role of spectator difficult to fulfill at the modern Olympics. The Society for the Revival of the Nemean Games believes that there is scope for the average person to participate in such an international athletic festival where no records will be kept and no medals awarded. Races will be organized by gender and age, and participants will be rewarded only by bare feet sore from contact with the same stones and the same soil where ancient feet ran more than 2,000 years ago. The Sixth Nemead will take place on June 11, 2016. For more details about the organization and significance of the games, see ANCIENT BASIS; for a living image of the games, see STEP INTO HISTORY; to participate, see RUN.